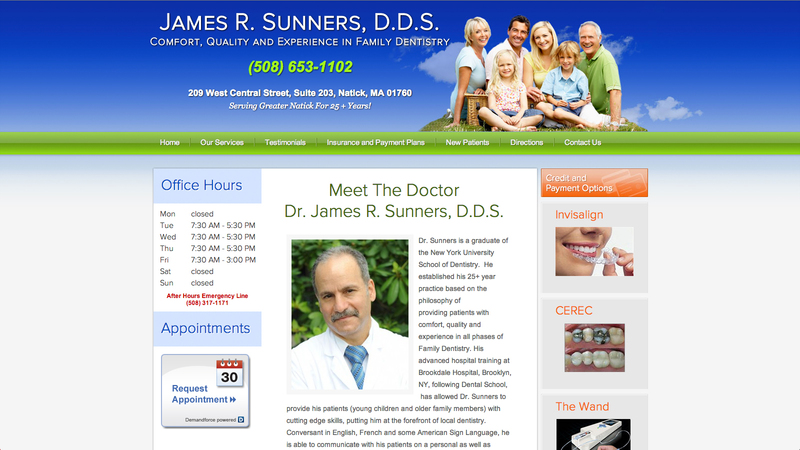 Dr. Sunners was getting some web traffic with his old site that he wasn’t converting into new business. We addressed his marketing and design needs. Now he comes up number one in Google’s organic search results – give it a try! Search for Natick Dentist. 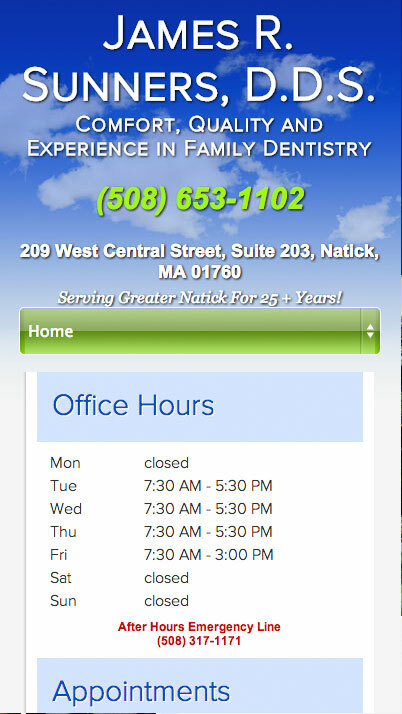 Visit this Natick dentist website.